Personal Loans > Resources > Learn About Personal Loans > Options > Where Can I Get a Loan? Don’t worry, we’ve got this. Before you consider where to get a loan, consider what type of loan you need. Here’s a few scenarios to help you decide which loan is right for you and where you can secure the funds you need. Scenario 1: It’s time to pop the question. Do you have enough money to pay for the perfect engagement ring? You’re off to a good start on your retirement savings, and your emergency cash fund is in place. But this isn’t an emergency, and after paying rent and saving for retirement, you’re not left with the cash to make such a big purchase. A personal loan can be a responsible solution for an important, one-time expense such as the purchase of an engagement ring or other wedding-related expense. If you have a solid credit score and a steady income, you may be more likely to get a competitive rate. You can often choose a repayment timeline that fits your budget. A personal loan could put the ring your partner really wants within reach. A reputable online lender, bank or credit union. There are a few options for securing a personal loan. Many borrowers use an online lender, bank or credit union to get the funds they need. 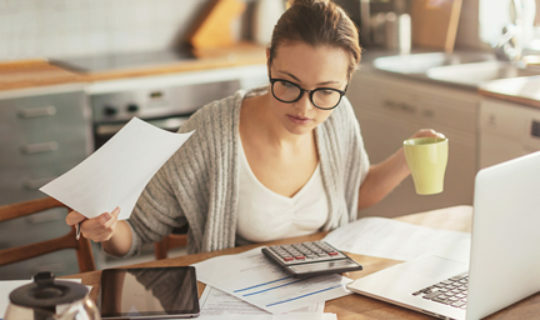 Online lenders may offer some advantages over traditional banks and credit unions, including an easier application process, quicker distribution of funds, and more comprehensive customer service resources. Be sure to choose a reputable online lender that has your best interests in mind. Scenario 2: You need to build your credit and credit score. Your responsibility has put you in a good financial position, but you haven’t built up your credit. As you progress through life, you will likely need to make major purchases, including a car or home. Securing these loans later will require building a good credit score now. A reputable credit card company. A credit card is a source of funds extended by a bank or credit card company. We recommend choosing a credit card with a low (some even offer 0%) introductory APR. Credit cards are first and foremost, convenient. They’re accepted nearly everywhere. But they’re also great for budgeting and breaking up big payments. Shop for the right card online, and start building a good credit score now. Scenario 3: You’re starting a small business. You’ve been sitting on your big idea for a while now. Your business plan is in place, and all you need is the funding to get this thing off the ground. But you want to be sure you have enough funds to navigate the trials and tribulations of a first-time small business owner. Small business loans are available through the federal Small Business Administration, but those loans can be difficult to obtain. That’s why a personal loan from a reputable online lender can be a great option. As mentioned above, the application process may be less complicated, and you may receive your funds faster than through traditional banks or credit unions. You’re confident in your plan, and you have some cash on hand. It’s time to take control with a personal loan to jumpstart your business venture. If you need more help, feel free to give us a call at 1-866-248-1255 to talk to one of our Discover Personal Loan specialists. You can also apply for a Discover Personal Loan now.